Systems engineer Austin Story now finds himself in serious trouble after a four-hour standoff with local police officers, according to the Tampa Bay Times. Responding to a call regarding an armed individual discussing the possibility of hurting himself or others, police encountered the uncooperative individual still in his apartment and handled the scenario accordingly. Amid his refusal to emerge and relinquish his firearm, a tactical team fired a gas canister into the apartment only to receive four gunshots in return. The 32-year-old eventually conceded defeat after prior attempts at resolving the situation had eventually failed, finally leaving his apartment and succumbing to arrest. He was then booked at Hillsborough County jail due to four counts of aggravated assault against law enforcement. Ultimately, Mr. Story was required to post $30,000 bail to get of jail. The Florida resident will no doubt now face a difficult legal battle to whatever extent one is waged, and largely because he failed to deescalate a situation wherein police were present. Should the individual in question be convicted as charged, he will likely face a minimum of three years in prison according to state law—a fairly severe consequence and all the more serious because police were involved. 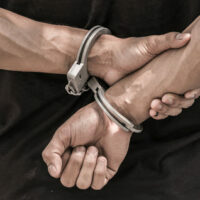 If you’ve been charged with committing any crime against a police officer, including any assault that might occur amid resisting arrest, then it would be wise to immediately contact an attorney board certified in criminal trial law. For the record, law enforcement officers aren’t the only ones subject to special protections when it comes to assault. Emergency medical care providers, firefighters, public transit employees and railroad officers are all assured additional protections given their respective lines of work. That said, and given the circumstances, police are generally more likely to be assaulted than firefighters. Whether charged with assault, battery or aggravated variants thereof, the consequences associated with each of these crimes against this protected class of civil servants are greater than they might me when committed against an ordinary citizen. Since 1976, The Matassini Law Firm, P.A. has been committed to all levels of State and Federal criminal defense and will handle any run-in you’ve had, no matter how big or small, with a law enforcement officer. We are an experienced litigation firm prepared to deal with criminal law, insurance cases and personal injury matters, as well. Don’t hesitate to contact our Tampa office today for a free consultation or visit our website at www.matassinilaw.com.